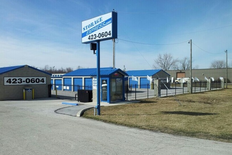 On the northeast side of Findlay, OH and just minutes from both the University of Findlay and Owens Community College, Storage Express is located on Bigelow Avenue, just east of Main Street. Between the neighborhoods of High Point and Countryside, this facility is great for homeowners, renters, and students of all types. 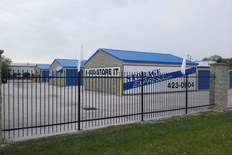 With the Tall Timbers Industrial Park and Findlay Village Mall just a short drive away, Storage Express also has convenient storage offerings for businesses. Whether storing textbooks or tax documents, this facility has the storage space you need. We believe that getting to your belongings should be as easy as possible. 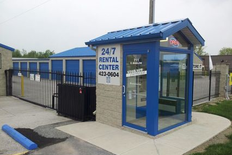 That’s why we offer 24/7 access hours, as well as drive-up units and paved driveways. And we know that storage needs vary, so our range of unit sizes is suited to meet any need you have – from a little extra room for your holiday decorations to a whole room’s worth of space. 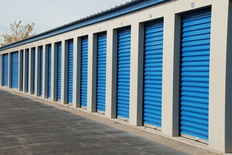 Ranging from 25 square feet to 300, our unit sizes provide you with a more fine-tuned storage solution. 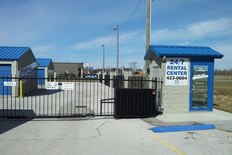 This Findlay, OH Storage Express facility is equipped with 24/7 video recording, perimeter fencing, and personalized gate codes so you can rest easy. We also have customer service available all day, every day, so you won’t have to worry about scheduling around office hours. For your added convenience, all unit rentals and payments can be done online, at any time of day. 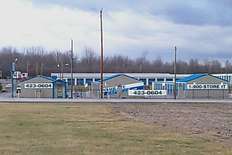 Rent a storage unit at Storage Express in Findlay, OH for help managing all your storage needs. This was by far one of the easiest companies to work with! The customer service reps have been friendly, the information is easy to understand and follow, and the unit was clean and dry. Thank you! Thanks for the wonderful and candid feedback, Pamela! We strive to exceed expectations and love to hear these sorts of comments from our customers. Thanks for allowing us the opportunity to help you with all your storage needs. We're here for you around-the-clock, 365 days a year. Justin Donerson, we are glad we could help! Nice, clean, safe and affordable storage out of the flood plain. Brian, we strive for 100% satisfaction, and it is great to see you had such a positive experience at Storage Express. Great to hear, Josh! Thanks for your feedback and for choosing us to help you with your storage needs. Words we love to hear. Thanks for the opportunity to serve you, Michelle! Does what it says store company supplies just fine! Matt Puckett, thank you so much for your high rating! Thanks for the stars and feedback. We are glad we can help! Hi Audria! We're so happy we are able to help you out! I was a "cold start" a c couple months ago"; this is my first time to use a storage unit. Fortunately, I am with Storage Express. I got help from Indianapolis when I needed it.. I have a 5 X 10 unit and am moving stuff in and out. Although some friends recommended against it I believe it is my best use of the space since I have downsized. (Besides, the facility is just around the corner from the house.) The facility is clean, secure, and convenient all the time. It gives me a little flexibility while moving into the house. Duane Dukes, thanks for your message and kind words! We can be reached 24/7. Don't ever hesitate to reach out about anything. Hi Heidi! Thank you for taking the time to leave a review for us at Storage Express. We're happy we could exceed your expectations!